Already a familiar sight, the Q3 is a notable departure from its predecessor. 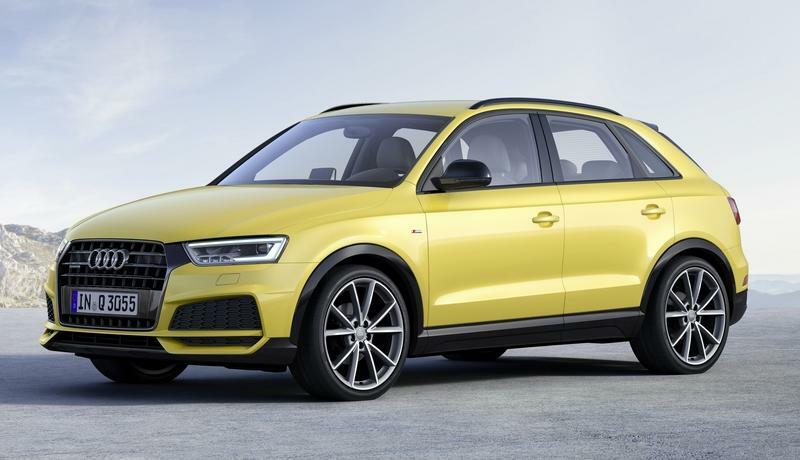 Audi ditched the mild and boring design of the old crossover in a makeover that makes the regular Q3 look sportier the old RS Q3 model. The octagonal grille with vertical slats, the sharp headlamps, and the big bumper vents all make the Q3 look notably more aggressive. The profile is more muscular too, with two arches integrated into the beltline just above the fenders. The thinner LED taillights, the sculpted tailgate, and the diffuser like element in the bumper add to the sporty look. 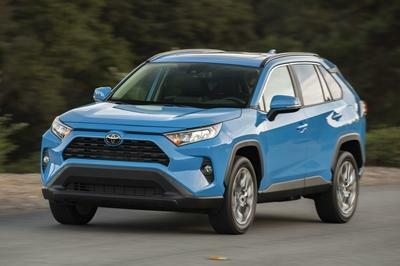 The second-gen Q3 is also a bit larger than its predecessor. The crossover is 3.8 inches longer, 1.5 inches taller, and an inch wider. Audi also added new colors to the palette, including Turbo Blue, Chronos Grey metallic, and Pulse Orange. 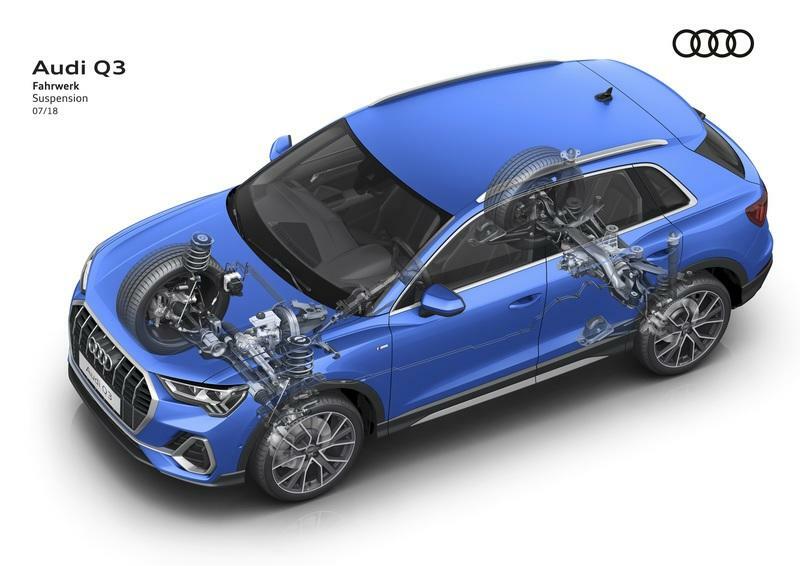 While the continuous air-vent design in the larger Audis still looks cool, the Q3 stands out thanks to a two-tier dashboard layout and a wide center stack with aluminum frame. The fact that you can order colored accents for the upper dash and door panels makes things even better. But the Q3 isn’t just about the cool looks. It’s also as modern as they get thanks to a big 10.25-inch instrument cluster (optional 12.3-inch unit) and the 8.8-inch infotainment display (optional 10.1-inch screen). The Q3 also comes with heated seats with leather seating surfaces as standard, a feature you have to pay for with other brands. The panoramic sunroof is also standard, so you can enjoy natural light at no additional costs. 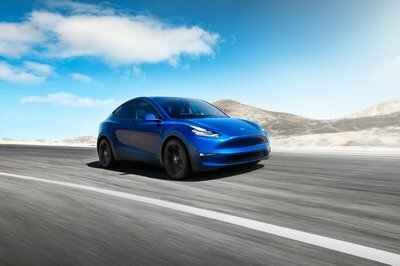 The options list includes features like Alcantara inserts, sports seats with contrast stitching, customizable ambient lighting, and a Sport Interior Package. The latter adds the orange Alcantara inserts you can see here, sports seats in black or gray leather, and brushed, matte aluminum inlays. The trunk is now larger and more flexible thanks to an adjustable load floor. 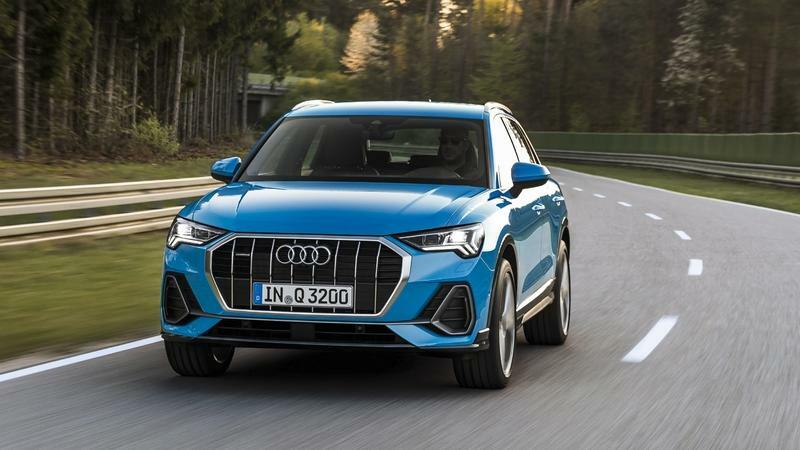 Just like its predecessor, the second-generation Q3 remains true to Audi’s turbocharged, 2.0-liter four-cylinder engine. But this unit was thoroughly revised and delivers more oomph. Specifically, the four-banger is now good for 228 horsepower and 258 pound-feet of twist, a 28-horsepower and 51-pound-foot increase. The mill mates to an eight-speed Tiptronic automatic transmission and a Quattro all-wheel-drive system, now standard on all trims. It also features electronic torque control for enhanced stability in all weather conditions and a redesigned five-link suspension in the front. 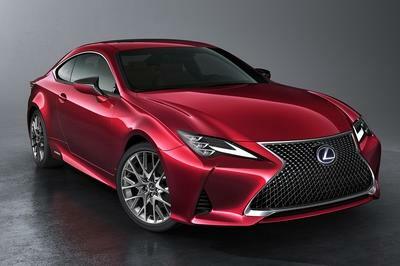 The sprint to 60 mph takes seven seconds, a half-second improvement over the outgoing model. 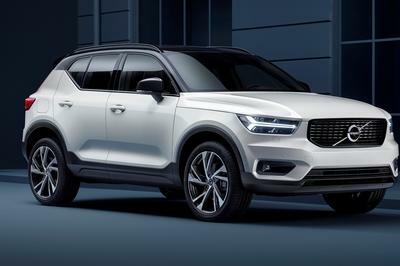 Pricing for the Q3 starts from $34,700 for the base model, while the range-topping version retails from $42,900. 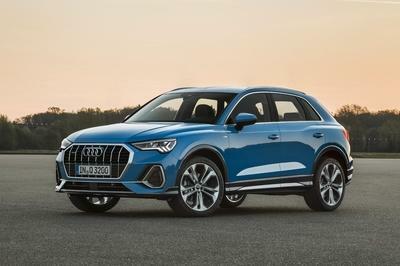 Read our full review on the 2019 Audi Q3. Read our full review on the 2018 Audi Q3. 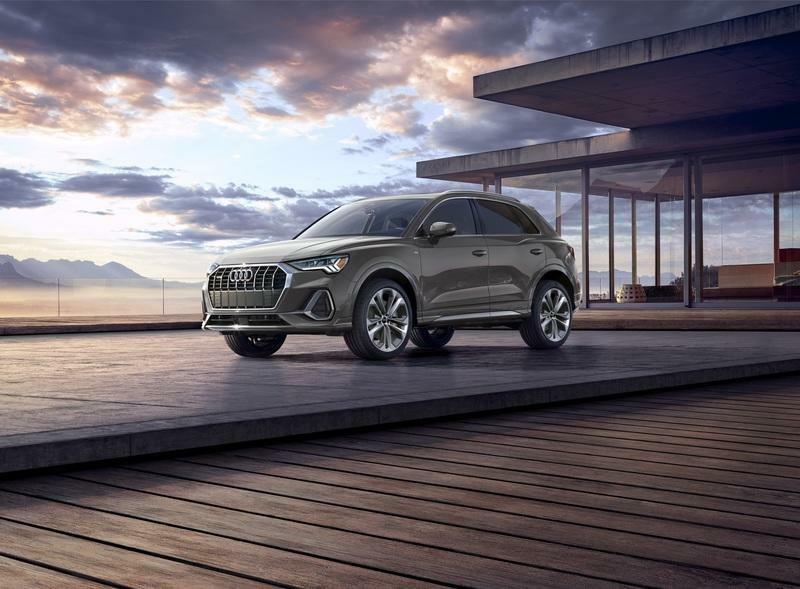 HERNDON, Va., April 15, 2019 – Building on the success and rapid growth of the premium compact-SUV segment, Audi of America will introduce the all-new 2019 Q3 at this year’s New York International Auto Show – the second generation of one of the brand’s best-selling models. The Wi-Fi hotspot feature is intended for passenger use only. Wifi feature is provided through Connect PLUS. Connect PLUS features and technologies are optional, may require an additional subscription with separate terms and conditions, and should be used only when it is safe and appropriate. See materials provided by wireless carrier for terms, privacy, data security details. Returning devices connect automatically and use plan data unless hotspot is removed from device settings. MMI Navigation plus depends on signals from the worldwide Global Positioning Satellite network. The vehicle’s electrical system, and existing wireless and satellite technologies, must be available and operating properly for the system to function. The system is designed to provide you with suggested routes in locating addresses, destination and other points of interest. Changes in street names, construction zones, traffic flow, points of interest and other road system changes are beyond the control of Audi of America, Inc. Complete detailed mapping of lanes, roads, streets, toll roads, highways, etc., is not possible, therefore you may encounter discrepancies between the mapping and your actual location. Please rely on your individual judgment in determining whether or not to follow a suggested MMI Navigation plus. 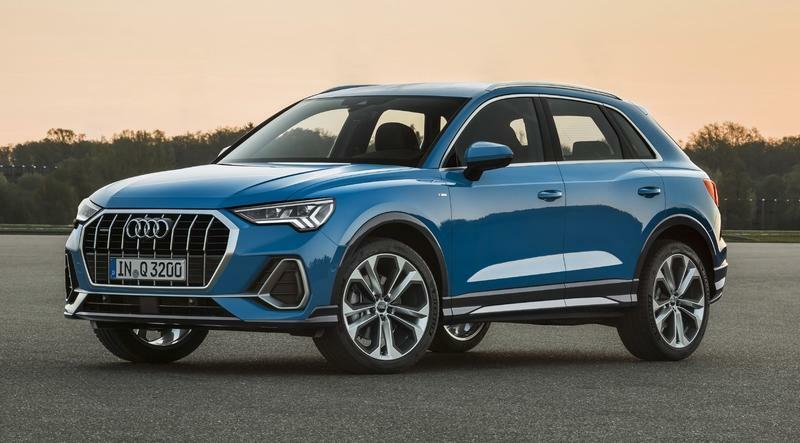 Starting MSRP of $34,700 for a 2019 Audi Q3 with 2.0-liter TFSI® engine. Price excludes destination, taxes, title, other options and dealer charges. Dealer sets actual price.